Traumatic Brain Injury (TBI) is a worldwide health concern that affects about 10 million people globally every year. The majority of TBI cases are classified as mild, and many of these individuals do not exhibit any visible physical signs of head trauma, making it difficult to identify TBI. Early detection of TBI is crucial in order to limit the primary and secondary brain damage that may occur following head trauma. Thus, there is a need for the early detection and measurement of circulating biomarkers that reflect a traumatized state. Research has been conducted to identify potential markers of TBI in cerebrospinal fluid (CSF). However, because of the invasiveness in obtaining CSF samples, CNS-specific markers of TBI in peripheral blood need to be discovered. Unfortunately, most standard immunoassays do not have the sensitivity to detect markers of neural cell damage and neuroinflammation in the peripheral blood. 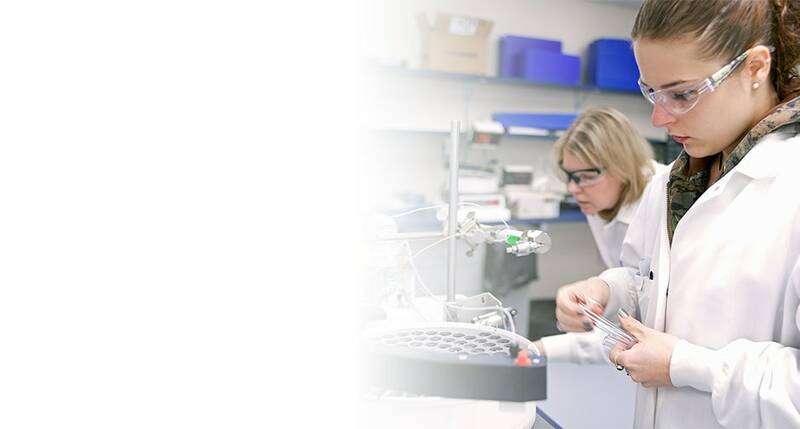 The Simple Plex™ (ProteinSimple) assay is a novel, quantitative, multianalyte immunoassay platform that delivers high precision and accuracy while using less than 25 µL of sample. This highly sensitive platform measures up to four analytes simultaneously from a single, small sample with results generated in just over an hour. The microfluidic-based system allows parallel single analyte quantification and reduces the non-specific antibody interactions often observed in other traditional multiplex platforms. The whole process is automated within a single cartridge, thus removing potential user variability. 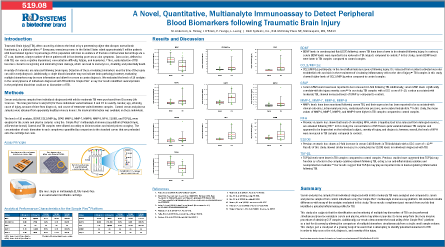 The Simple Plex™ assay was employed to look at several proposed TBI markers in serum samples from individuals diagnosed with TBI. Our study suggests that this platform may represent a highly efficient method for detecting and quantifying markers of neural cell damage and neuroinflammation in the peripheral blood following TBI.